Family vacation time is a great way to reconnect, share special times, and create new memories. Many families like to spend some time on the water, either day trips or part of a boating excursion. Whether you choose to rent a boat for a day or book a yacht charter, you and your family can enjoy spending quality time together without cell phones and the distractions from real life. While you and your family enjoy the beauty of nature on your boating vacation, you want to do what you can to avoid common hazards and injuries. The last thing you want is to turn a leisurely boat trip into a perilous situation. Obviously, you want to do everything you can to avoid an accident and keep your family safe. Below are some suggested safety tips for you to follow. Even if you have been trained on how to operate a boat, taking a refresher course can only help to keep your skills fresh. 70% of boating accidents are from operator error. Take the time to find free courses online or in your community. Your family’s safety is dependent upon it. The same rules about alcohol consumption and driving are in place for operating a boat. When the boat operator has been drinking, the chances of an accident are doubled. Research has shown that the wind and the sun amplify the effects of alcohol. 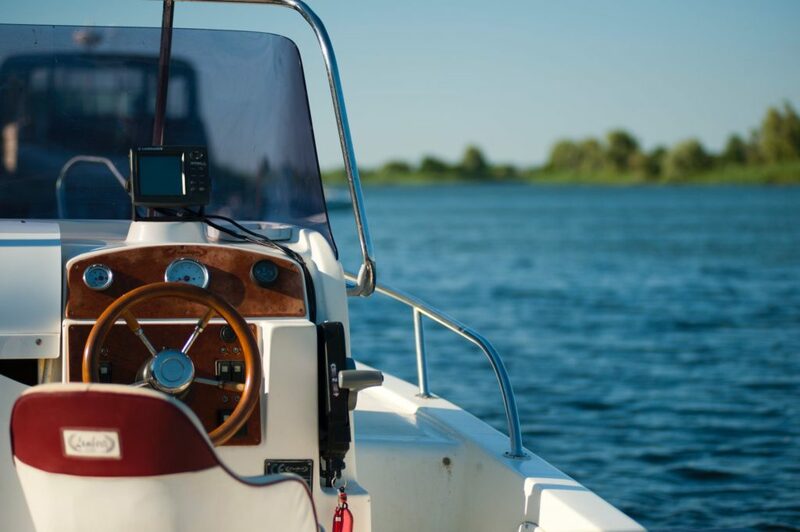 “Boating while intoxicated is a reckless, dangerous decision that could lead to a severe injury accident or even death,” says West Palm Beach BUI Lawyers. If you want to celebrate with a cocktail while operating a boat, hand off the responsibility to a designated driver. It is important for everyone on the boat, especially children, to wear a Coast-Guard-approved, size-appropriate, and properly fittedlife jacket. Also make sure you practice putting it on your children. Even if you don’t plan on going into the water, protecting your loved ones from possible drowning should they fall overboard is a wise decision. 84.5 percent of drowning victims of all ages in recreational boating accidents in 2017 weren’t wearing a life jacket, according to NSBC. You should also always keep your eye on your children while on the boat to make sure they are not getting too close to the edge or putting themselves in danger. Before leaving on a boat trip, check the weather forecast on the TV or radio. The best conditions for boating are sunny, warm days. If strong wind or rainis predicted, consider re-scheduling your trip. In addition, if you are on the water and notice rough changing winds, sudden drops in temperature, or darkening clouds, get off the water. Once you have fueled your boat, you need to open all the hatches. If you smell any fumes, do not start the boat. Just as you had to learn the rules of the road before driving a car, you need to learn the rules of the water before operating a boat. Being prepared and following safety measures can go a long way to keeping your family safe on a boating trip. Just because you might be an experienced boater, doesn’t mean that you can’t run into trouble. The above safety tips are for both the amateur and the pro boater.